Over the past 10 years at Country Day, according to director of college counseling Jane Bauman, only three students have taken a gap year after finishing high school — two of whom graduated last year, Atsuo Chiu and Jake Longoria (see “Class of ’18 gap year experiences vary from ‘amazing’ to ‘tough’“). But in a March 12 poll of 90 high school students, 39 had considered taking a gap year, while seven are planning to. Of 25 seniors, five said they had considered taking a gap year but decided against it. The growth of these numbers shows a need for more assistance and guidance regarding gap years. That’s not to say the college counseling department has done nothing when it comes to discussing gap years — in the spring college counseling meeting for juniors and their parents, parents fill out a questionnaire and are asked whether they think their child would benefit from taking a gap year after high school. For students, on the other hand, deciding to take a gap year is something that “comes up in our meetings,” Bauman said. Senior Eivind Sommerhaug, who will be taking a gap year for health reasons, said Bauman has been helping him plan his gap year. There are are many benefits to gap years, which are often overlooked during the college application process here, and more students should be made aware that gap years are a feasible option after high school. Furthermore, there should be more support systems in place for those who do plan on taking a gap yeaƒr. In many cases, gap years can have positive academic effects. According to the American Gap Association, students who have taken gap years have higher GPAs in college and are more likely to graduate within four years. In addition, 60 percent of graduates who took a gap year said the experience helped them determine their current major/career path. And while one of the main arguments against taking a gap year is the fear that teenagers are less likely to go to college afterward, this doesn’t fit reality. Ninety percent of teenagers who take a gap year still attend college within a year, according to a study published in the Washington Post in 2010. Furthermore, many colleges allow — or even encourage — students to defer enrollment for a year. That’s what Chiu did, and he is now spending his gap year preparing for entrance exams for Japanese universities. Similarly, Sommerhaug has applied to colleges but plans to defer his enrollment for a year. As for his plans during his gap year, Sommerhaug said director of technology Shelley Hinson offered him an intern position in the technology department, and he is also looking for other programs and ways to spend his time. While we applaud the work of the college counseling department in helping students and parents navigate college admissions, students need to be made more aware of the benefits of gap years — not just for unique cases like Chiu’s and Sommerhaug’s, but also for any students looking to broaden their worldview, gain independence, discover their passions, give back to the community or work and earn money. Plus, with so many colleges offering their own gap year programs, letting students know about the opportunities provided by specific institutions could be another factor in deciding where to apply. C-day meetings would be the perfect place to hold these conversations. 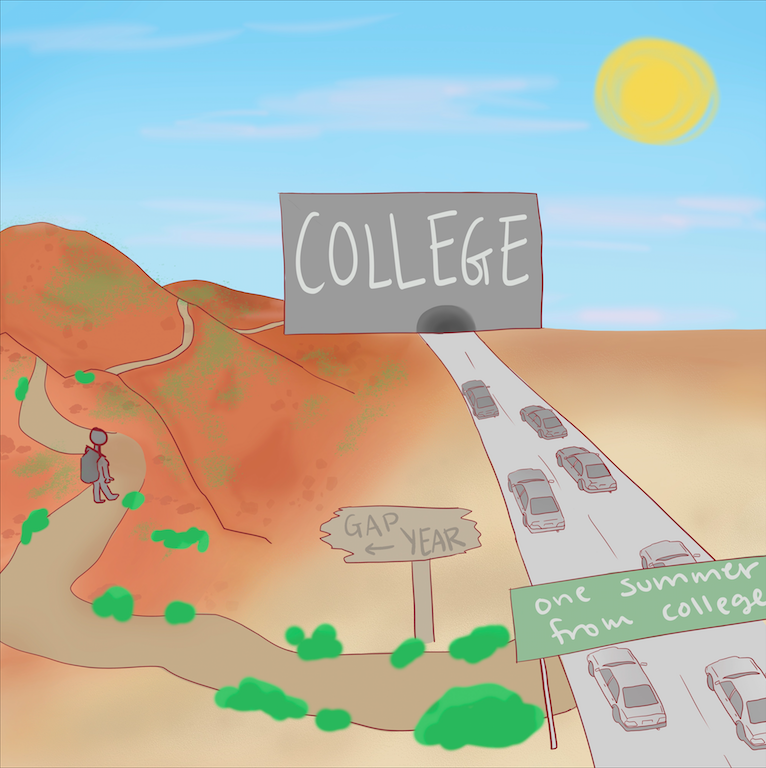 Juniors just starting the college process might not realize just how helpful a gap year could be, and hearing about it from a counselor could help them plan their future. After all, there are just as many benefits to gap years as there are to matriculating directly into college — if not more. SWEET TEETH: When calories aren’t an issue, try these decadent desserts!